Here's what you need to know now for Tuesday, Oct. 31. A tech rally and some strong earnings from consumer companies helped lift the markets slightly higher on Tuesday, Oct. 31. But while many were focused on the strength of U.S. companies, one foreign player with a large presence in the U.S. blew it out of the water. Samsung Electronics (SSNLF confirmed its most profitable quarter on record Tuesday. The world's biggest chip and smartphone maker said operating profit for the three months ending in September came in at 14.53 trillion Korean won ($12.91 billion), a 23.4% increase from the same period last year, on sales of around 62 trillion Korean won. Interestingly, Samsung isn't played to hedge against Apple Inc. (AAPL - Get Report) , but rather to leverage the growth of the Cupertino, Calif., company and other smartphone makers, as Samsung provides much of the components and chips used in these devices. Meanwhile, on the activist front, another investment firm has notched a victory as embattled Rent-A-Center (RCII - Get Report) fired its board chairman and announcedit has launched a process to explore strategic alternatives. The move comes five months after activist Glenn Welling succeeded in installing three dissident directors to the company's board. The rent-to-own company's chairman, Steven Pepper, had been under pressure from Welling for months. Most recently, in June, Welling lashed out at Pepper over his use of the company's private jet even as the company continued to struggle. The strategic review comes after Rent-A-Center had previously received acquisition interest from buyout shops HIG Capital and Lone Star Funds, according to reports, before it rejected an $800 million, $15 a share, bid from Vintage Capital. We've got an update on that little thing called tax reform and the potential windfalls for companies if a corporate tax holiday is instated. After much digging TheStreet has uncovered that while companies can't use their overseas cash to guarantee U.S. loans, make domestic acquisitions, or on dividends or buybacks (among other things), they can invest it. And what they mainly buy may surprise you. Happy Halloween readers of TheStreet and thanks for tuning in today. President John F. Kennedy was in the news this week as the federal government just released thousands of documents related to his 1963 assassination. The papers were being posted online by the National Archives and Records Administration in compliance with a 1992 law requiring their release after 25 years. But President Trump agreed to postpone the release of thousands more files that were supposed to be made public, pending a review that should end on April 26. 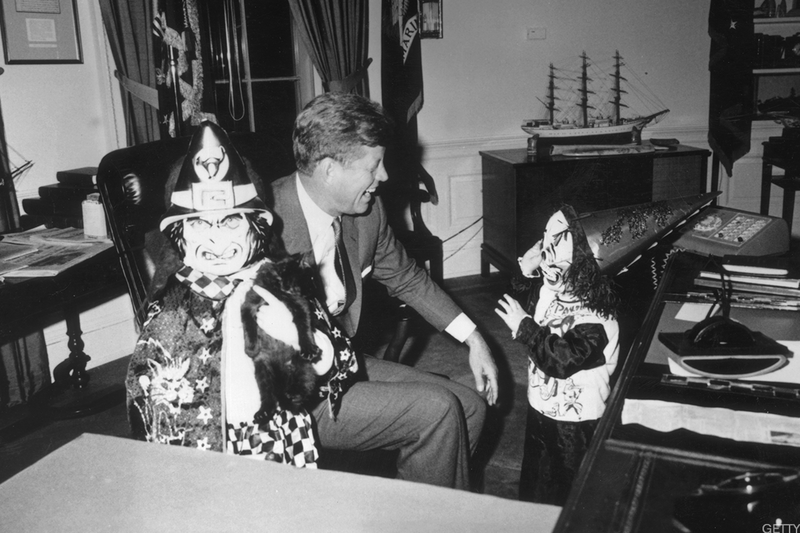 JFK is pictured above on Halloween 1963 with his children Caroline and John Jr. in the Oval Office, just a month before his tragic assassination in Dallas. Is Your Employer Ruining Your 401(k) Plan?